Ever had a friend or relative ask you about your martial arts training? How many times while talking about bjj has someone said “I’d love to try that out!” Well now is their chance. And they can do it absolutely FREE! And in addition earn YOU free admittance to an advanced brazilian jiu jitsu workshop with head Gracie jiu jitsu instructor Jeff Reese. On Sunday, August 28, 2011 Scranton MMA will be hosting a bring a friend day at 11am. Two workshops will be held; a complete beginner seminar focusing on the Street Essential techniques of Gracie Jiu Jitsu and an advanced seminar that will highlight advanced guard work of the Gracie Jiu Jitsu ground game. These workshops are available to ALL (men, women, children, new or veteran) Scranton MMA members who bring a friend to either workshop! Are you a beginnner yourself, just recemtly signed on at Scranton MMA? Then attend the self defense beginner workshop with your friend! Or maybe you are a beginnner that has a friend who already trains somewhere else and desire a change of pace. Well, bring them with you and let them attend the advanced workshop with Jeff! Advanced students shouldn’t miss out on this opportunity for extra work with Jeff! Just bring that friend that is always talking about starting and drop them off at the beginner workshop. Or maybe they are already training and need to experience for themselves the Scranton MMA edge; bring them in to the advanced session! 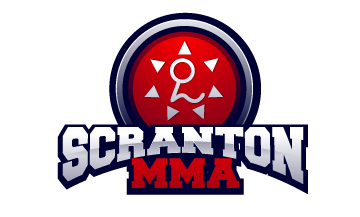 There are so many ways to have fun this Sunday at Scranton MMA! Don’t miss out on this event.